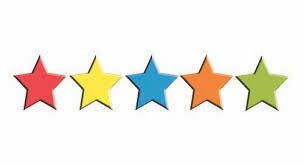 ​ Consider CMS Five Star Rating system and how it ‘serves’ families. Rant on. No doubt you know someone who was baffled at how a terrible nursing home gets a 4 or 5 star rating from CMS’s Five Star Rating System , while a good one can appear to have a lower rating, applied from an inspection before management overhaul several years earlier. Why, you ask? Indeed. Others have asked as well  – noting the obvious missing link, family satisfaction with the nursing home, including dealing with the staff. For starters. Retiring outdated information, next. What’s a consumer to do? Well, for review of data accuracy, you can forget about Caring.com – in which you see a review of one facility yet find a different one discussed in the content. No oversight of this section, which by now, 11 years after its founding , could have become an enormously valuable resource. Let’s say a nursing home is known to be a real ‘pit’ and the lowest of the low -- as a friend notes who from the non-profit that takes complaints about nursing homes. Let’s check that rating from CMS Nursing Home Compare – 4 star, you see. Bummer. And you can forget about rating -- aka marketing -- sites that ask for your email address and phone number before letting you see the ratings, including, but not limited to A Place for Mom . Over at Yelp – it is all about feedback. As with restaurant reviews, what you say about a nursing home is as important as the other particulars about it. USC researchers looked at Yelp reviews  – and noted that the intangibles matter  to families (study published in Gerontologist ). No kidding. And that what Nursing Home Compare measures may be necessary, but not sufficient. And without seeking updates and culling of rusting assessments, Nursing Home Compare may be worse than useless. Desperate family members, trying to find a place for parents that were ejected from assisted living, are stuck with a federally-funded repository filled with data, but no information. How can Yelp be enriched with more reviews? Why should an $8000+ per month nursing home have less online feedback than a pizza restaurant? Consider the pain and rage in reviews when families and loved ones have a bad experience – where is that in Nursing Home Compare? See for yourself – a randomly selected nursing home in Queens called The Grand has a five star rating from CMS. Now read the 20 reviews from Yelp . You, your family, your clients, know of a nursing home (or other senior care provider), of course, that is at one end of the scale or the other. Help Yelp – write a review – and no need to put in your phone number! Rant off.